Local news duo Jodie (journalist) and Kevin (cameraman) get exclusive access to record a addicts meeting. While at the meeting they meet a man who tells them about a cult he was once in. Intrigued by the story and wanting to be the first to break the news on the cult they go in search of the doomsday cult. Driving out to a local woods they are met by 2 women who blindfold them and lead them to their compound. Once there they are met by several women who are members of the cult and their leader Michael Godson. Michael has been shown the way by a higher power and tells his followers that the end of days will come after three events have taken place. As the news duo document the cult they become more aware of the sinister goings on at the compound. While Jodie wants to finish the documentary before leaving, Kevin can no longer take what he is seeing and leaves Jodie behind to finish the documentary. Jodie now left in the middle of nowhere must now hope she can return to civilization before she gets drawn in to the prophecy. 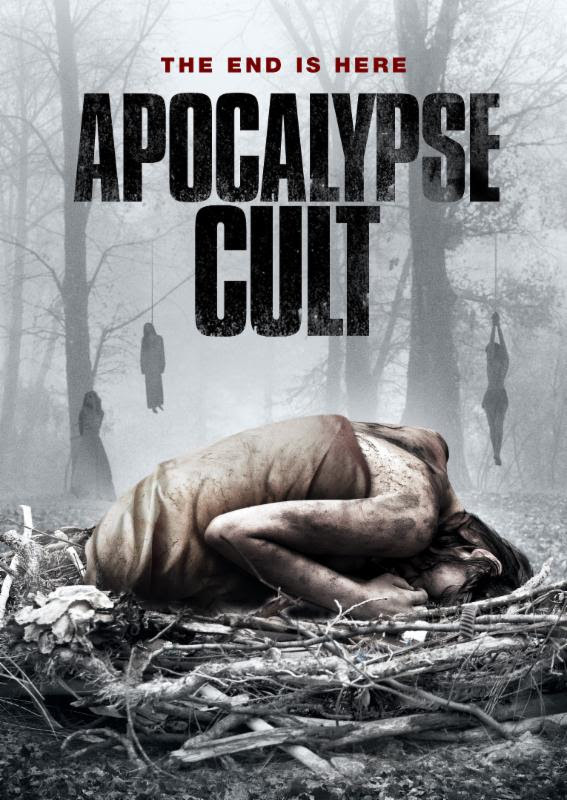 APOCALYPSE CULT is one of those films that draws you in with it story and when the ending comes leaves you creeped out. This shows how well the script was written and the way the actors play their relevant characters really brings realism to the cult, especially the leader Michael Godson played with sinister calmness by David Macrae. Of course a well written script has to have a great location and this film certainly has one located out in the countryside with nothing around but open ground and an eerie mist that descends naturally in several scenes. The found footage style is nothing new, but here it is used effectively and leaves you the viewer forgetting your watching a movie about a cult and not a documentary. As far as cult movies go this is one of the better ones out there and I would highly recommend checking it out if you like films like Ti Wests 2013 movie THE SACRAMENT.